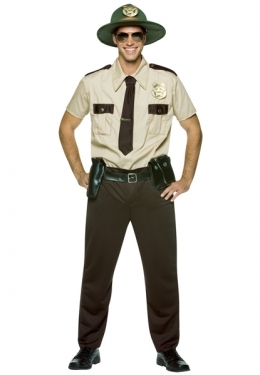 State Trooper Adult Costume Keep an eye out for this officer of the law! Includes: Tan colored shirt with attached next tie and badge, brown pants with attached faux belt and holster. Also includes green trooper hat with badge. Available Size : One size fits most adults Shoes are not included.